We all of us are on the outside, even though we don't always realize it ourselves. 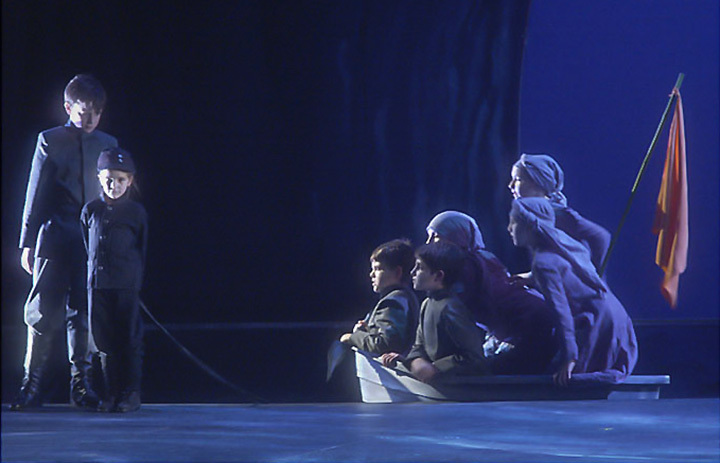 Wozzeck and Marie have two things in common - a child, and loneliness. Both are isolated from their social environment. 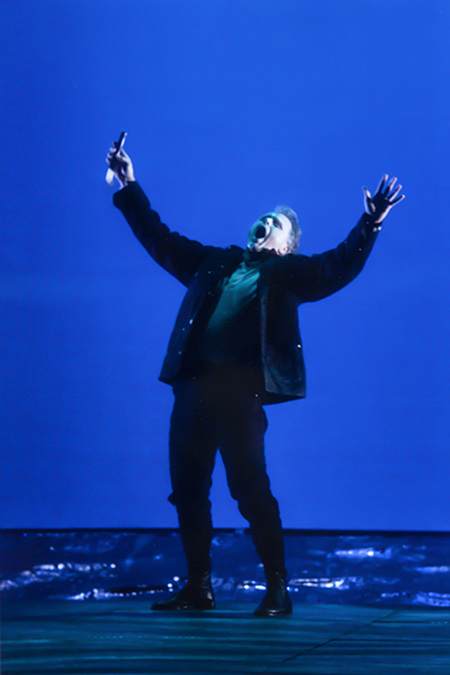 Wozzeck has become cut off from his surroundings and as a consequence he becomes increasingly lost in himself. People who have been through a traumatic experience sometimes shut themselves off in their own world. It seems as if they do not want any part in social life, but really they are longing for just that. The same is true for Wozzeck. In his isolated, mentally and physically unbalanced state, Wozzeck has horrifying supernatural visions of an approaching doomsday. He tries to communicate these experiences to the others. He warns them, although he himself does not understand the meaning of his visions. No one pays attention to his predictions. To them, his words are strangely curious, but nobody really listens, nobody stops for a moment to pay attention to him and to what he has to say. The only thing that Wozzeck is able to cling to is his relationship with Marie, but even this is far from secure. Wozzeck's strange behaviour serves only to propel Marie towards the seductive charms of the Drum Major. 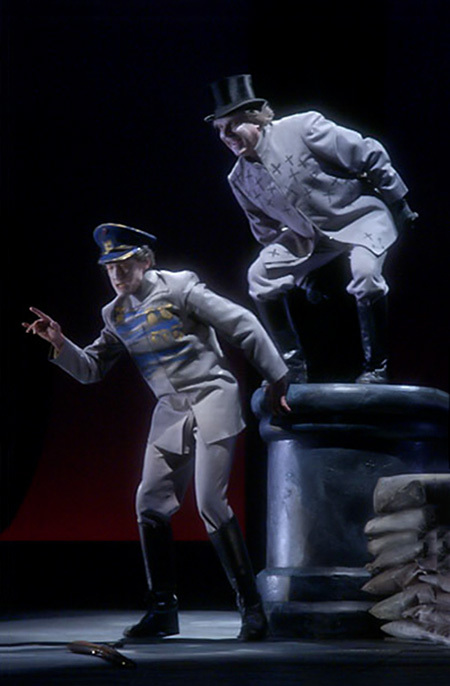 When the Doctor and Captain inform Wozzeck about Marie's adultery the borders between reality and vision dissolve. Wozzeck recognizes in everything elements which we associate with the last ordeal. Wozzeck senses that hell is taking over the world. We have more in common with Wozzeck than we would like to believe. We all know that feeling of being on the outside. And do we not know the feeling of somehow being cut off from the world? Do we not often feel both consciously and unconsciously misunderstood and misinterpreted? In such situations we cling to the certainties of our life. And if these certainties begin to topple or fall apart, the likelihood is that we fall with them. 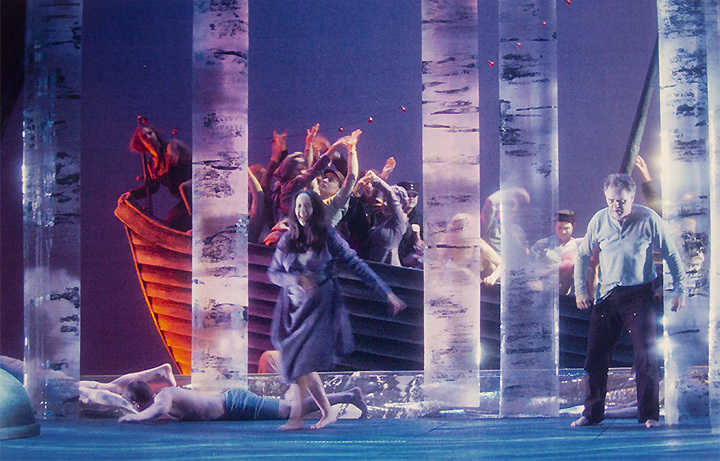 When Wozzeck's only certainty, Marie, threatens to disappear, he panics. A terrible mechanism of destruction kicks in. His incapacity to face the situation drives him to kill her. And so Wozzeck severs the final string which keeps him connected to the world and with this deed he completes the realization of his own predictions. His world has come to an end. I don't make judgements on anyone, least of all for their intelligence or education, because it is in no one's power not to turn out a fool or a criminal, just because we humans - given the same circumstances - would all become like one another.